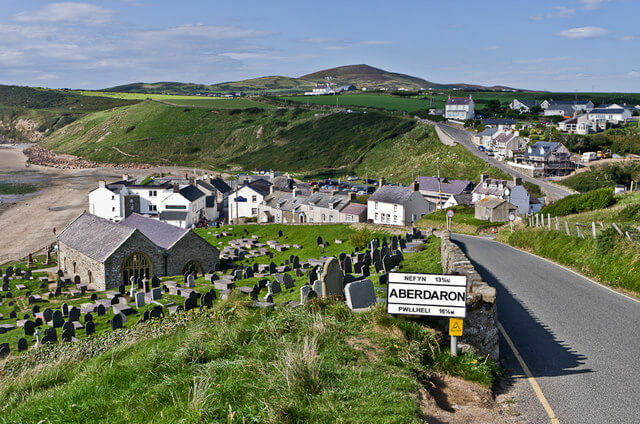 Aberdaron Farm Bunkhouse is two miles from Aberdaron village with its white-painted fishermen's houses, sandy beach and water's edge church. The Bunkhouse has underfloor central heating and 3 bunk rooms sleeping 8, 4 (en suite) and 3 (en suite) in a bunk and camp bed. There is a large social room with dining tables, chairs, beanbags, TV, Nintento Wii and board games. The small basic kitchen has a hob, microwave, George Foreman cooking machine, kettle and toaster. A self service breakfast of cereal, bread, tea and coffee is provided. Bring sleeping bags or hire duvet and pillow for £3. There is a drying room with washing machine & tumble dryer and toilet & shower blocks. Whistling Sands is only 1.5 miles away and Bardsey Island (Ynys Enlli) lies across The Sound two miles off the tip of the Llyn Peninsula. The Island has been a place of pilgrimage since early Christianity and a boat from Aberdaron to Bardsey is a great place to see the seals. Pets allowed (with notice). Holiday cottages and camping are also available on the farm. This accommodation is featured on our map of Snowdonia and North Wales and here is its own website. All year. All day (arrive after 4pm and leave by 11am). £16pp, £18 pp (en suite) inc breakfast. 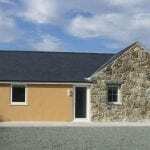 Enquire for sole use of room/bunkhouse/family room prices. Minimum of 3 days on bank holidays. Deposit of 50% paid by credit or debit card, remainder to be paid 4 weeks prior to arrival. Booking held for 5 days without deposit. Follow signs for Anelog, the first one is just after entering Aberdaron. Arriva bus17, Pwllheli to Aberdaron, 6 times a day (not Sun). This accommodation is by the sea, is available to individuals and is on the Hostels with Camping map and the Wales Coast Path. Would you like to visit the Llŷn Peninsula? They why not come and stay in our Bunkhouse and do exactly that! We are located just a half hour’s drive away. 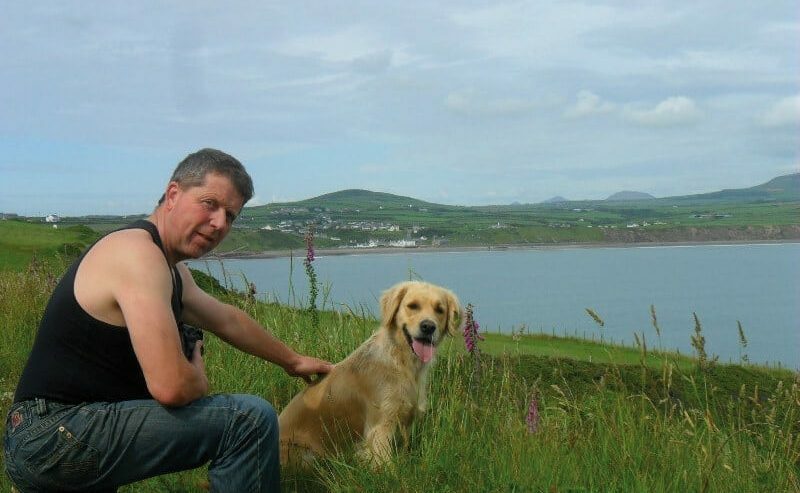 The Llŷn Peninsula is a protected ‘Area of Outstanding Natural Beauty’ on the strength of its exceptional coastline of coves, headlands, beaches and bays rich in wildlife which are all interlinked by the Llŷn Coastal Path. 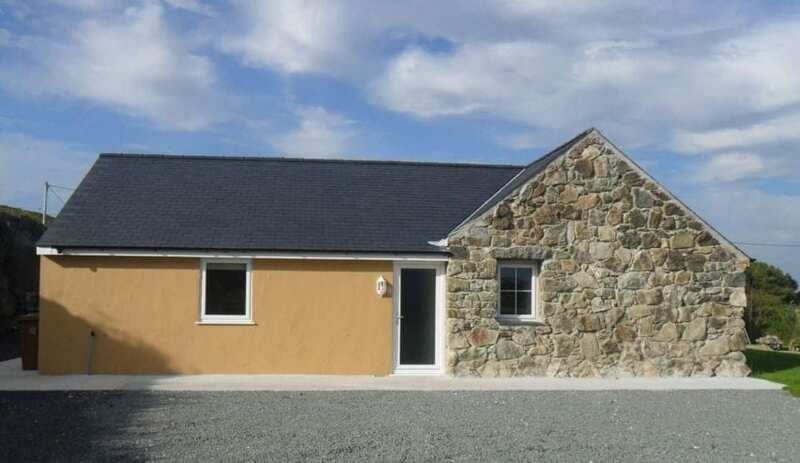 Aberdaron Farm Bunkhouse on the coast. With the sea just there why not pursue watersports? Not too long ago I walked a section of the Llyn Coastal Path. It was glorious weather with heather and bilberries on this side and sandy and rocky beaches on that. I was enchanted by the lure of rounding the next headland. Out at sea countless small pleasure craft or windsurfers skipped and darted over the waves like terns. I reached Pwllheli but did not get as far as Aberdaron, home of the Aberdaron Farm Bunkhouse. If you make it further than I did then you’ll find a lovely well modernised bunkhouse with underfloor heating (very welcome!) and accommodation across a big bunk room of 8 and two smaller en-suites of 4 and 3 bunks each. The bunkhouse can also provide bike hire and simple breakfast is included. But with the sea just there why not pursue watersports? There is sailing at Pwllheli Marina, waterskiing, powerboating or windsurfing at Abersoch or wakeboarding at Glasfryn Parc. You could join those adventurous souls I saw from my coastal route. The Lleyn Peninsula Coastal Path or Edge of Wales Walk is a total of 84 miles along the coast paths, with the occasional inland loop, around the Lleyn Peninsula. At one point, close to Bardsey Island, it follows the ancient Pilgrim’s Route and you will come across many ancient small churches, this is known as the North Wales Pilgrims route. Sgbour Unos Bunkhouse also on this website provides a second good nights accommodation along the route. At Portmadoc the Lleyn Penisuala coast path links to the Meirionnydd Coast Walk and the both become part of the larger Wales coast Path.